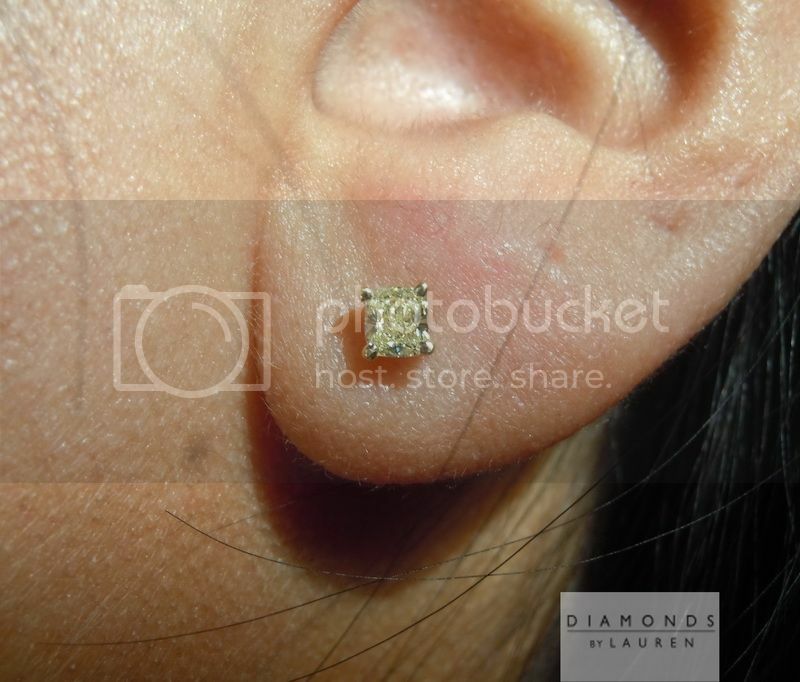 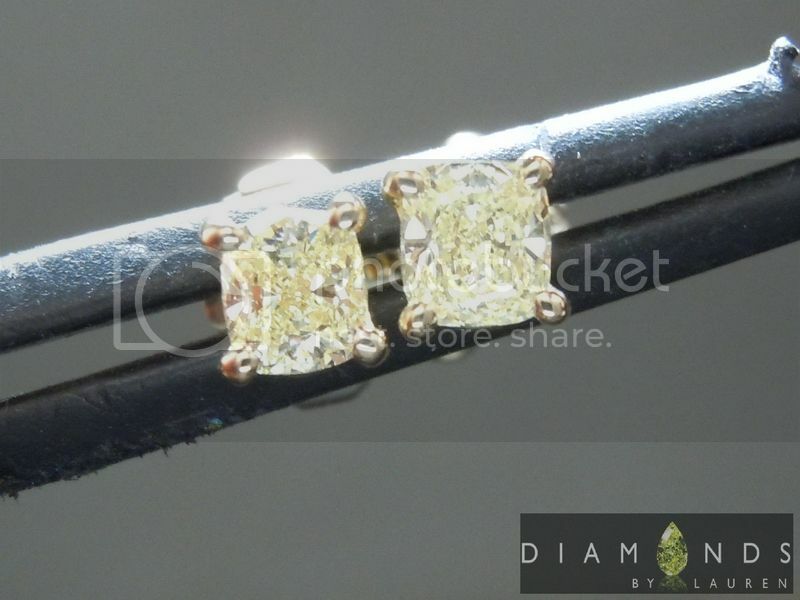 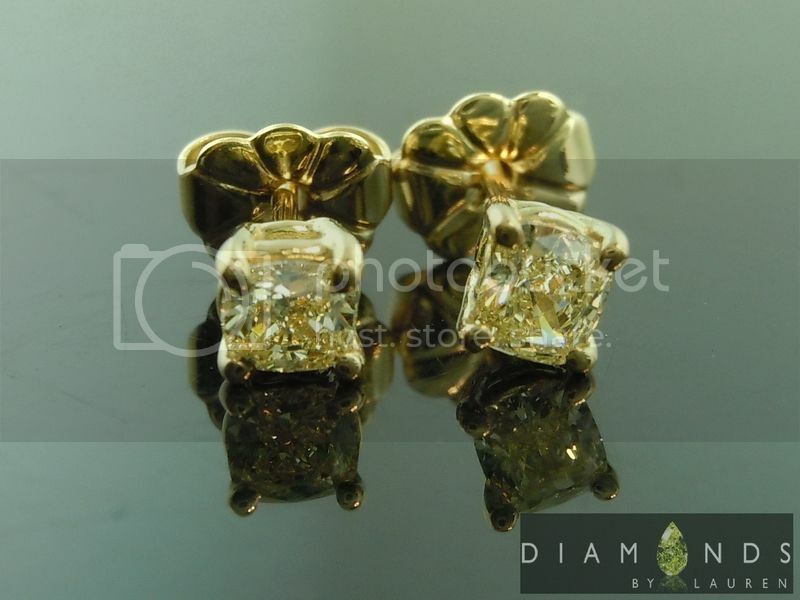 Here is a lovely pair of yellow diamond earrings featuring Fancy Light Yellow Cushion Cut Diamonds. 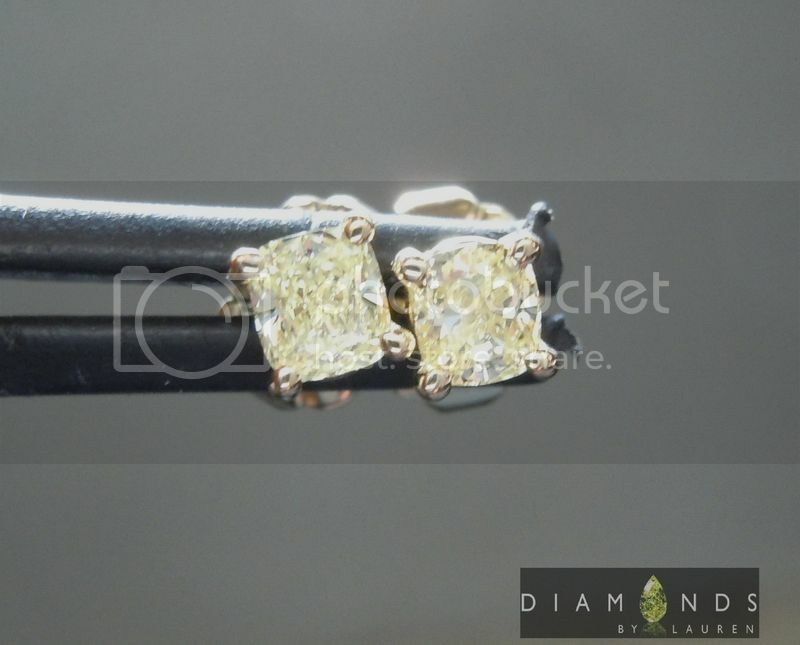 The stones are well matched in terms of color, size and cut. 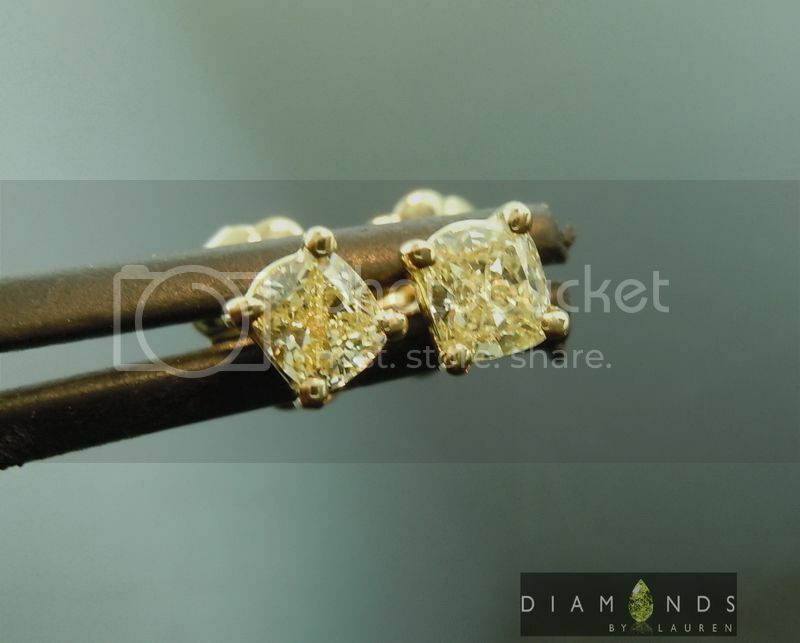 Both have amazing sparkle.